New Art Union #1601 tickets now on sale. Close date 3rd April 2017 – Draw date 24th April 2017. 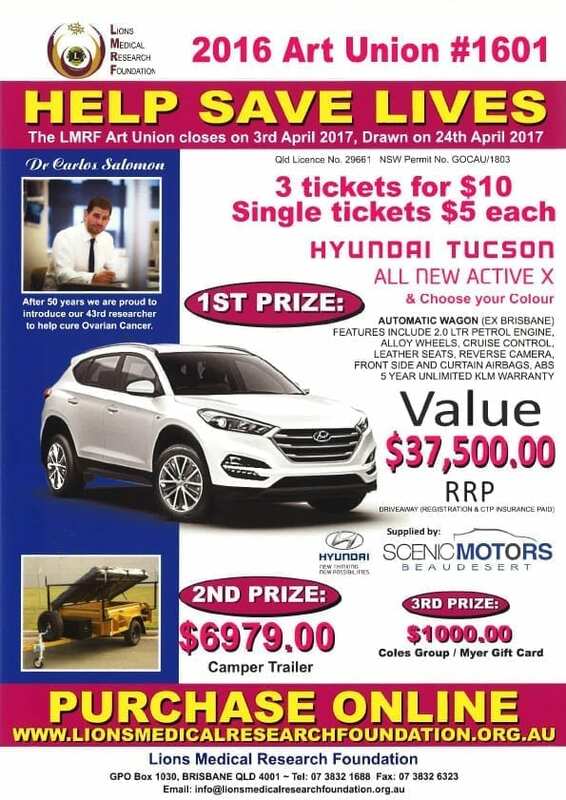 Win a brand new Hyundai Tucson All New Active X for just $5. Tickets $5 each or 3 for $10. Contact the office on 3832 1688 or click here to buy a Single Ticket $5 and click here to buy a Triple Ticket $10. From a club? Order online by form (click here).